On the way home from Kuala Lipis, we dropped by Raub for two more things: tofu and peanut factories. We planned to visit them the day before but it didn’t work out due to tight schedule (spent too much time in Casabrina) and problems in direction. I didn’t want to give up and gave these two place a second chance the next day. Still we didn’t know exactly the way to these two factories after a few attempts to ask locals for directions. 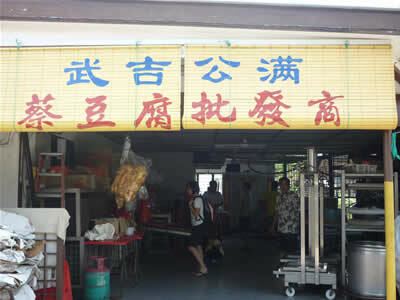 It seemed we had “miscommunication” until one mobile shop owner in Raub put it in writing. With a map to Bukit Koman in hand, everything was as clear as day. 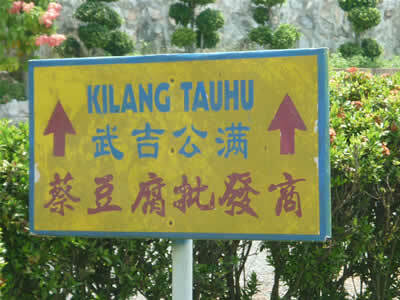 Finally we found the junction to Bukit Koman from Raub town. Bukit Koman is a Chinese New Village and one will still be able to spot many wooden houses there. It has also recently made headlines due to gold mining controversy. Once you are in the village, there are down-to-earth signs leading you to the tofu factory. The lanes in Bukit Koman Village are narrow and if you drive there, your driving skills will be put to test. Parking will be a problem if you have a huge convoy visiting the place. A solution is to park the cars along the main road and walk to the factory. In fact, the factory is an extension of a home – in which the owner of the factory lives. We were greeted by owner Chai Kong Soong who then explained to us how tofu and tofu puffs were made. He was very friendly and chatty. And he also served us some freshly made tofu puffs – right from the factory. 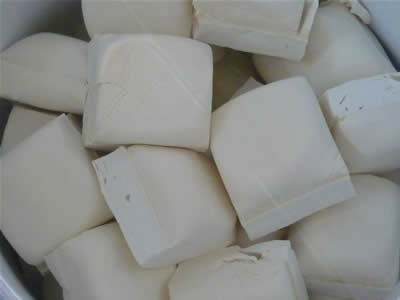 Besides tofu and tofu puffs, the home-based factory also produces soy milk. 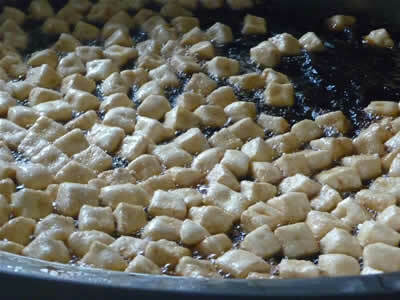 Tofu puffs were sold at RM13 per kilogram and tofu were sold at RM0.90 a piece. We bought some tofu puffs for own consumption as well as gifts for friends. Note: This is the 8th article of A Family Road Trip to Pahang: Bentong, Raub, and Kuala Lipis series.